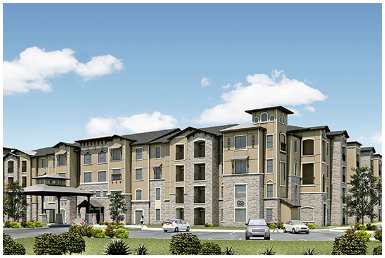 ​​​ AZLE - Plans are underway for Legacy Oaks at Azle to provide 123 independent living and 77 assisted-living and memory care apartment homes to seniors ages 55 years and older. It will be located at the northwest corner of Jacksboro Hwy. and Avondale Ave. and is expected to be completed by winter 2018. Legacy Oaks at Azle residents will experience a secure, private community designed to meet needs. The modern, resort-style amenities were designed to inspire comfort, healthy living and social activities for all lifestyles.